"Spike the eggnog with the Hennessy." Christmas may be three days away, but it has come early for fans of Chicago artists Jeremih and Chance the Rapper. In typical Santa Clause fashion, the two dropped off a surprise gift for us last night (Dec 22) — a mixtape titled, Merry Christmas Lil’ Mama. If you were not in the Christmas mood before, then this mixtape will surely get you in the spirit. This is Chance’s first release since Coloring Book and Jeremih’s first release since Late Nights: Europe. The nine track mixtape is dedicated to Chicago and only features two other native Chicagonians, comedian Hannibal Buress and musical artist, Noname. It includes a festive rendition to the famous Jackson 5 song, “I Want You Back” on “Stranger at the Table.” Ultimately, the mixtape culminates in a gospel style that Chance has brought back into the musical equation. Despite the explicit language from time to time, this album screams Christmas and will become a holiday favorite for years to come. 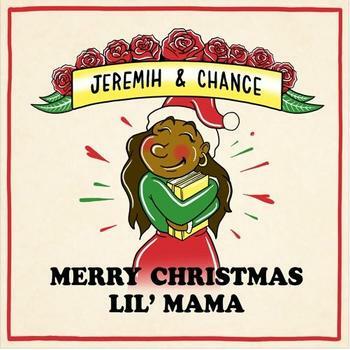 There is no denying that both Jeremih’s and Chance’s voices are perfect for a Christmas album. It is both soft and inspirational. This is not the first time that the two have collaborated. Jeremih was featured on Chance’s “Summer Friends” off of Coloring Book. And we can’t forget when Chance added his own spin to Jeremih’s “Planes” with the Social Experiment. Face it, the two might just be born to make music together as they seemed to produce a quality album in what seems like a short time. On “I Shoulda Left You,” Chance says, “Please can we get back Craig Sager.” Considering that Sager passed away only a week ago, we can assume that at least a couple songs were made in a short time. Nevertheless, the mixtape is exactly what we needed going into Christmas. It may not have been the best holiday season for you, but Jeremih and Chance found a way to make it a little better. You can listen to Merry Christmas Lil’ Mama on Datpiff or SoundCloud.